Christian Astuguevieille is the first to admit it: he winced when he was asked to come up with an oud by the Spanish group Puig, which owns the license of Comme des Garçons Parfums (as well as Nina Ricci and Paco Rabanne). Hopping into a bandwagon more crowded that the Tokyo subway at rush hour isn’t quite the style of the trailblazing brand. It was in fact in Bertrand Duchaufour’s Sequoia of Series 2: Red that the oud note was introduced in modern Western perfumery in 2001, rather than in the 2002 M7. Nevertheless, Puig insisted. So Astuguevieille and Givaudan perfumer Antoine Maisondieu started tweaking the structure of Antoine Lie’s Wonderwood… without a drop of oud. Nope, we need the real stuff, Puig persisted. “We were bad students”, Astuguevieille explains. “We kept our different elements and added oud”. As most of you know by now, very few Western scents featuring the note actually contain it: not only because oud is expensive, but because it is not yet produced in batches of consistent quality, and in sufficient quantities, to clear the various regulatory hurdles and to be added to the catalogs of oil houses. But it just so happened that Givaudan had access to a cultivated quality from Indonesia. So in went enough of the stuff to truly justify the name. So far, so oud, right? Except that all of the above isn’t insider information: it was the pitch Christian Astuguevieille gave at the press presentation. That’s what made the event so Comme des Garçons-ish: after all, Rei Kawakubo has often worked on displaying the structure of garments, “accidental” forms and mishaps. Presenting a fragrance inside-out with the stitches showing is well in the spirit of the house. According to Antoine Maisondieu, the effect of oud on a formula is closer to spices than to an animal material like civet, which is more rounded. 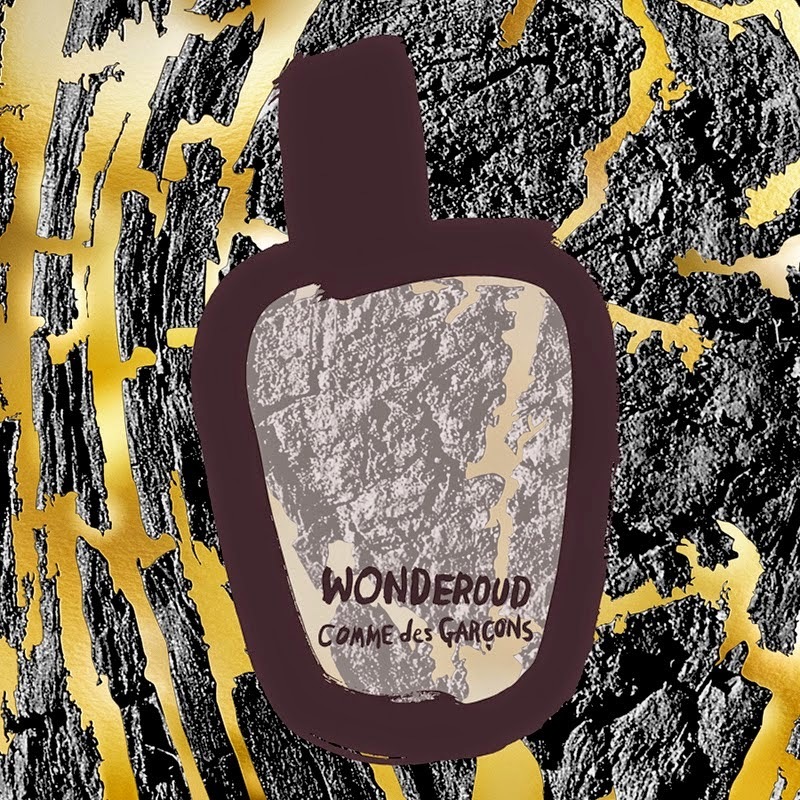 In Wonderoud, he enhanced the woodiness of Wonderwood even further, and boosted it with ambery woody notes (the infamous spiky woods), blended in such out way that the spikes don’t stick out. And they don’t. As a result, Wonderoud’s angular block of wood with its intricate marquetry of notes more usually found at the bottom of the olfactory pyramid is hugely radiant. It is much easier on the sandalwood than its template but stronger on the vetiver – whose flinty, salty, faintly grapefruity facets are legible throughout, so that this is practically a vetiver theme. 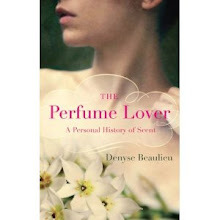 Patchouli, guaiac, cedar and the cedar-smelling Australian sandalwood add smoky, honey-tobacco and bitter effects. Staunchly refusing to give in to Middle-Eastern folklore by pairing it off with rose or musk, Astuguevieille and Maisondieu ease oud into the perfumer’s palette as a material rather than a cultural marker. In doing so, they turn the brief inside out, just as the artistic director of CdG Parfums turned the press presentation into a gently ironic display of the marketing process. 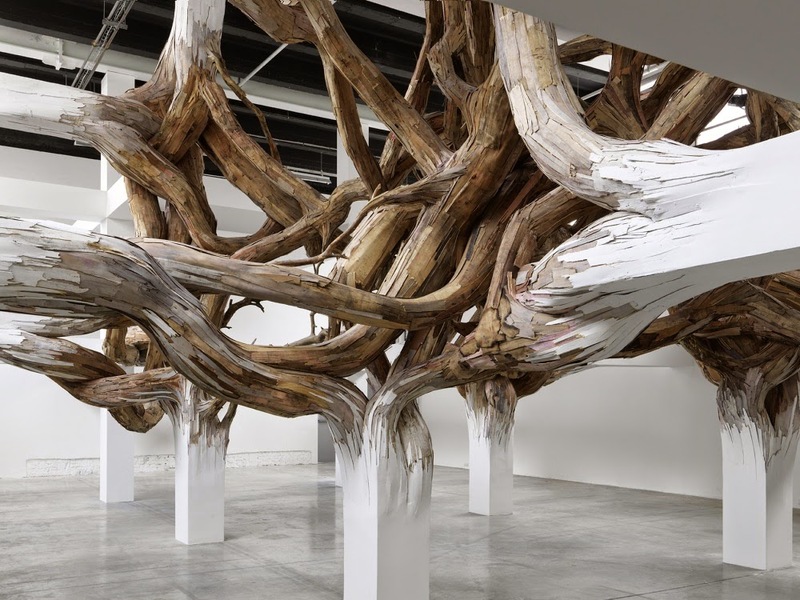 Top illustration: Baitogogo by Brazilian artist Henrique Oliveira at the Palais de Tokyo (Paris). I'm looking forward to trying this... I did like Wonderwood, though. 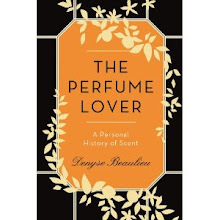 I have a question: Back in the late '90s, I was certainly interested in fragrance, although not so aware, perhaps, as I am now, and certainly not oud-aware. I notice that Donna Karan's 1996 Chaos, at least in its current version, lists oud/agarwood in its notes. Was oud in the original version? If so, doesn't Chaos beat even Sequoia to the punch for introducing oud to the West? Chaos is never even brought to the table in the oud discussion. Usually, it's just M7. Granted, Chaos is not particularly oud-y. Actually, you're right, it did start with Chaos. In French-based discussions the name never comes up because Donna Karan is, to my knowledge, not distributed (or very rare) in France. But it is indeed worth mentioning! In US-based discussions it never comes up, either. Thanks!